At 1:31 PM this afternoon Baby Moose, Hugh Thomas Praytor V, at 6 pounds 13 ounces came screaming in to the world in Mobile, Alabama. Mom and baby are doing great, Thomas is still recovering. The 2019 ARCA Racing Season is not the only thing that is getting closer every day, so is the pending arrival of the baby Moose! From here forward the window for Thomas �Moose� Praytor�s baby has put the Mobile, Alabama drive in a unique position heading in to Daytona. �I just don�t think I would be very happy missing Five�s arrival. (Five-Hugh Thomas Praytor V) We had a family pow wow and everyone was supportive of whatever direction we wanted to go but for us nothing is more important than Five,� offered Praytor. Daytona was to be Praytor�s return to ARCA racing after ending his 105 race consecutive streak after Talladega in 2018. Looking at the ARCA schedule coupled with the Baby�s schedule Praytor�s most likely return race will now be in Sweet Home Alabama at Talladega in the General Tire 200 on April 26th. In what has become a Holiday tradition Thomas �Moose� Praytor with a little help from his friends, Grant Thompson and Connor Okrzesik made a delivery to WKRG�s Magical Christmas Toy Drive. Praytor and WKRG Sports Anchor, Randy Patrick, started the delivery of remote control cars years ago and over time have included some pretty fast drivers from the Gulf Coast. Young Grant Thompson coming off of a runner up National Inex Championship in 2017 made his first laps in a full size race truck at only 12 years old in 2018. Thompson made his second trip to TV 5 along with 17 year old Connor Okrzesik. 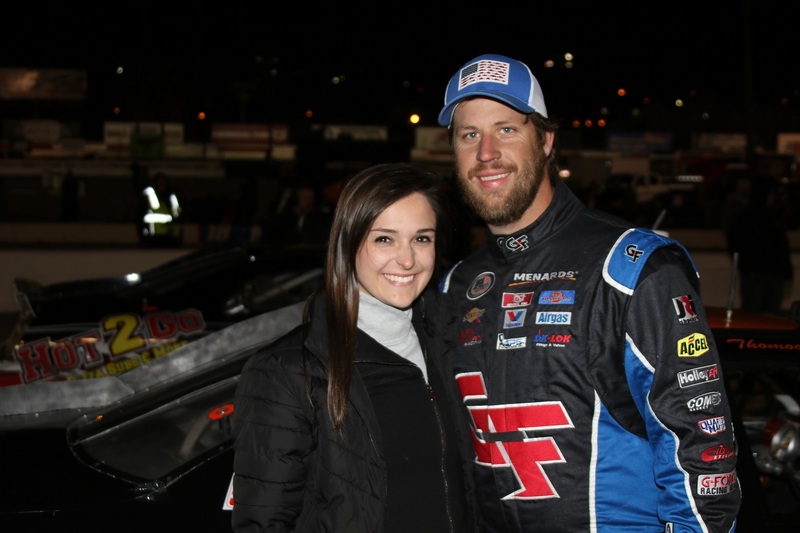 Okrzesik, blistered the final 3 races of the 2018 season with a 2nd place finish at the Mobile 300, 4th at the 51st Annual Snowball Derby and another podium finish in the Snowflake. Fans can expect big things from Okrzesik in 2019. �Randy does a tremendous job of covering racing and he�s always fun to beat racing remote control cars with. What Channel 5 does with the Salvation Army is incredible,� said Praytor. There were over 32,000 donated to the 2018 Magical Christmas Toy Drive. Just over 50 days until the Lucas Oil 200 driven by General Tire at Daytona International Speedway. Just because Thomas �Moose� Praytor and his Mobile, Alabama race team took a break from the second half of the 2018 ARCA Schedule doesn�t mean Praytor hasn�t been busy. Praytor�s newly formed Max Force Trucking hauled its first load out of the Port of Mobile last week. �We�ve been trying to make this happen for the better part of the year, the paperwork and documentation needed for the Department of Transportation, the State of Alabama and the Alabama Port Authority is incredible�, said Praytor. Trucking has become a central theme in the Moose�s life these days, while putting together the Trucking company, Praytor has increased his CDL teaching duties with Bishop State College and is now coordinating his own set of classes, teachers and students. 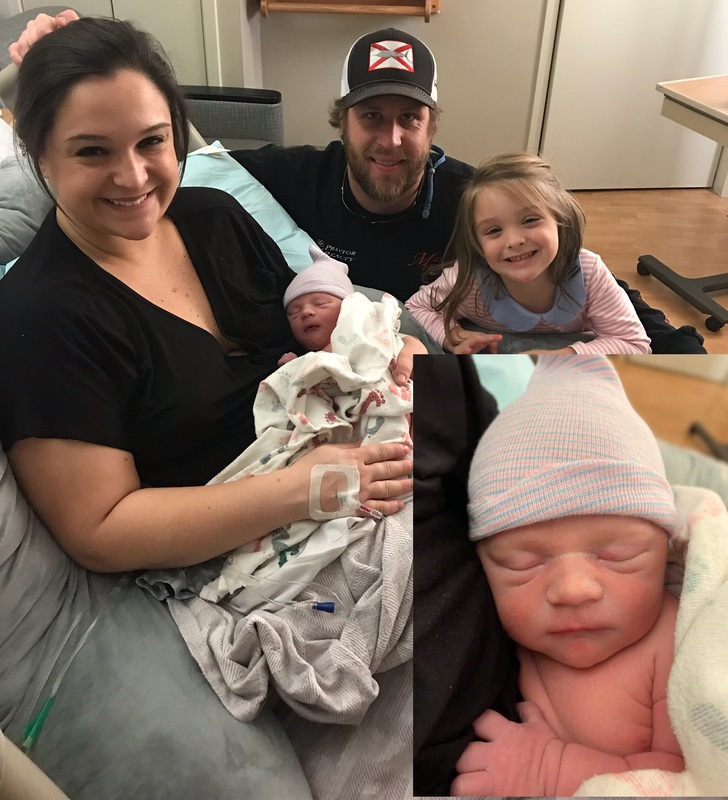 The 2018 racing season may have slowed down but the Praytor�s have been busy expanding for 2019. Mike Abrams and Hayley Praytor announced their engagement, even after Papa Praytor tried to talk Abrams out of it. �I�ve known Mike for years, I like Mike, I tried to warn him, he�s on his own now,� said Praytor. 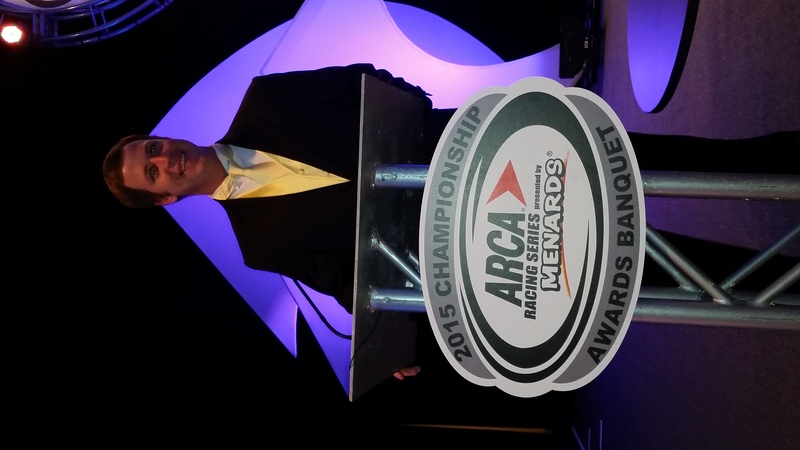 Mike Abrams is originally from St. Louis and is currently working on Brett Holmes ARCA team. The couple is looking at a date in December of 2019 that doesn�t conflict with any race dates. 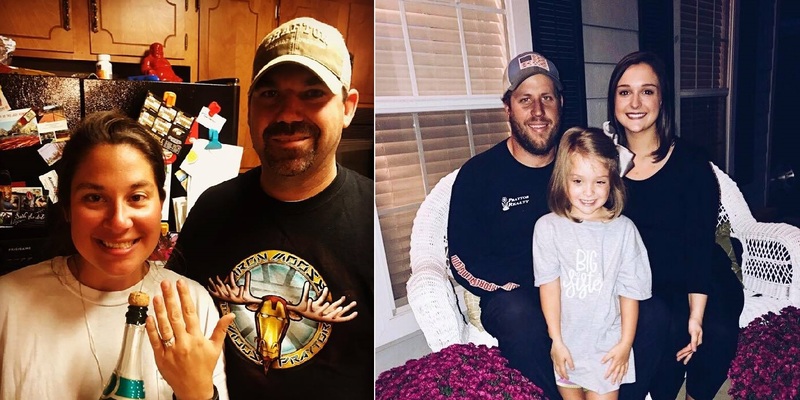 Mike won�t be the only new guy joining the Praytor clan in 2019, Thomas, Madison and Elizabeth are expecting a new baby boy in 2019. Hugh Thomas Praytor V (that�s right the 5th) is expected sometime in late March of next year. �I�ve already been shopping for Jr Champ Karts and I have our friends at G-Force designing a new fire suit for babies it�s going to be fun! Maybe I can get this Praytor to listen,� offered Praytor. 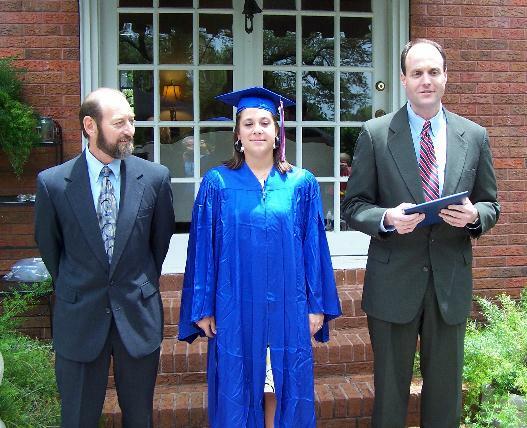 On Thursday night Hayley Praytor and her twin brother Thomas �Moose� Praytor will be inducted with a star studded class in to the Saint Paul�s Hall of Fame in Mobile, Alabama. The 2018 class is not only filled with High School standouts but players who went on to College and Pro careers including athletes still competing in the NFL and Major League Baseball. 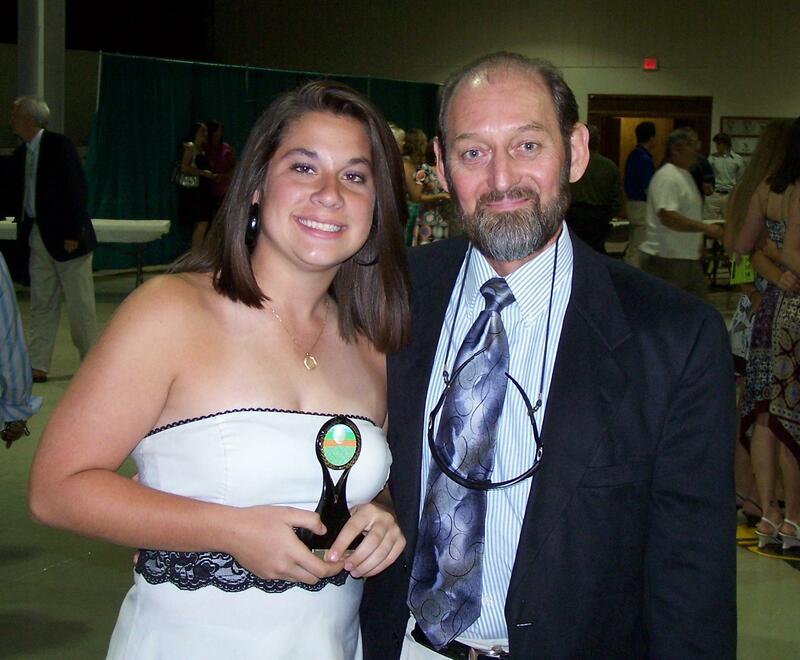 During her tenure at St Paul�s Hayley Praytor�s name became synonymous with Girls Softball. Praytor spent 6 years on the Varsity Squad garnering two selections to the All County Team in 2007 and 2008. Praytor played a multitude of positions during her career including a year catching for future LSU/USM pitcher Hannah Griffin before settling in for her final season in right field, a position she would carry to Huntingdon College. During High School Praytor was a left handed �slap� hitter producing runs and runners. A unique stance and Praytor�s hand eye coordination made her a threat to put the ball in play at every at bat. With a six year tenure on the team and as the only Senior, Praytor�s leadership skills were put to the test at every turn but none more so than the 2008 State Championship Tournament in Montgomery, Alabama. The Saints lost the tournament but the lesson in leadership carried Praytor forward to college. Heavily recruited out of High School, Praytor chose Huntingdon College and was one of 16 freshmen to check in for the Softball team. Four years later Praytor was the lone surviving member of those original 16. Dedication and leadership learned at St. Paul�s carried the Mobile native forward. By the time Praytor reached her Senior Year at Huntingdon, a broken ankle and shoulder surgery had taken their toll on the once speedy slap hitter. As she had done before Praytor adapted becoming a power hitter. In her final at bat Praytor blasted a bases loaded double to win the Conference Title, a story book ending to a Hall of Fame career. While Hayley Praytor was speeding around the diamond her twin brother, Thomas �Moose� Praytor was speeding around race tracks in the Southeast. The Moose played his fair share of sports at St Paul�s, Football (Middle School Champion & State Champions), Golf and Soccer Praytor�s path to St Paul�s Hall of Fame would be like no others and faster. 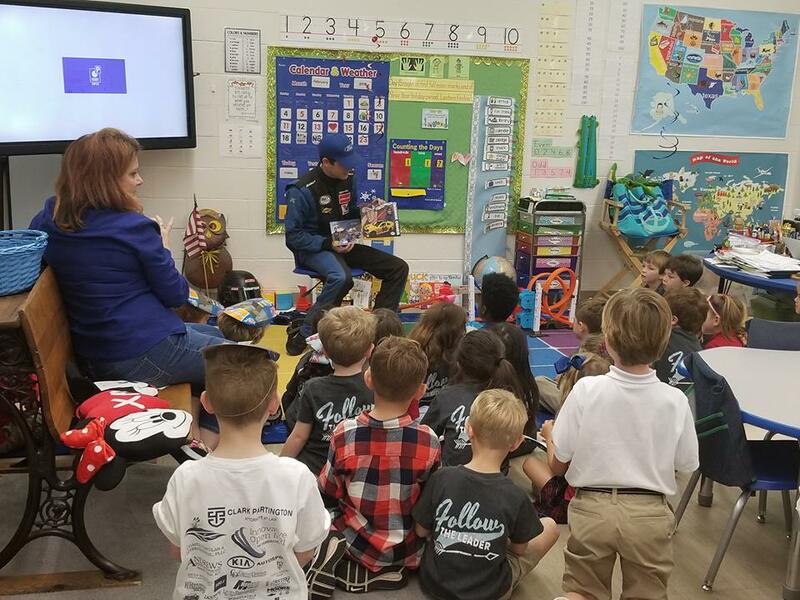 In the almost 50 years history of St Paul�s no student has ever reached the Hall of Fame as a Race Car Driver but from the first appearance of a race car in Mrs. Cottons class in 2nd grade it seemed like Praytor�s destiny was sealed. 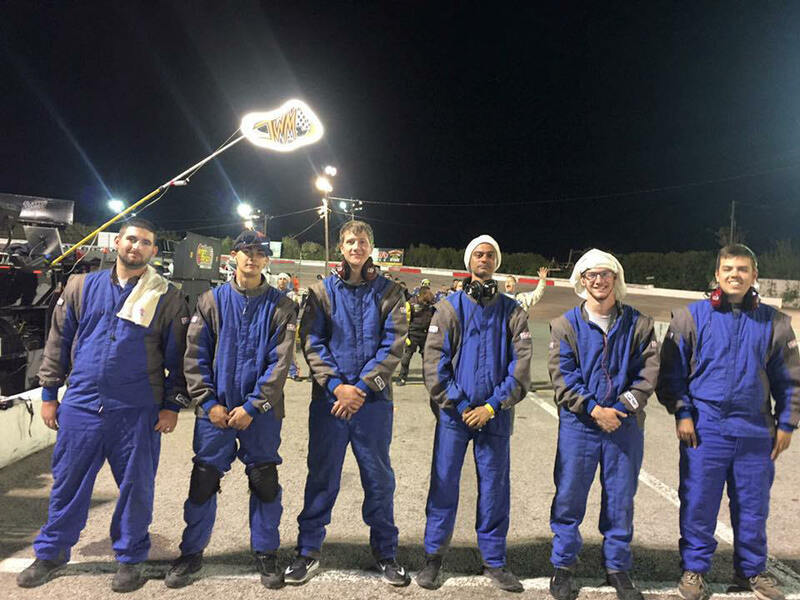 Like most young racers Praytor started racing at eight years old in an old yard kart that quickly progressed to bigger and faster cars. While at St Paul�s Praytor won a track Championship, a State Championship and three Rookie of the Year titles in different classes of cars. After graduating in 2008, Praytor continued his racing career in the Pro and Super Late Model Divisions racing in Mobile and Pensacola. 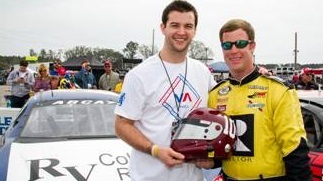 In 2012 Praytor got his first big opportunity with a 1 day test at Daytona. 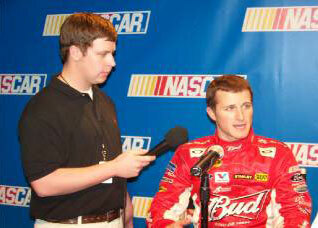 The test led to 4 more races in 2012 including the inaugural ARCA Mobile 200 and a top 20 finish at Talladega. By 2013 Praytor landed a full time ride with Hixson Motorsports out of Tennessee and finished 9th in the ARCA Championship in his first full year of competition and was awarded the HG Adcox Sportsmanship award. Praytor followed that up with a 7th place finish in 2014. In 2015 Praytor struck out on his own with his own race team based out of Mobile Alabama. It was the first time a team had ever competed full time in a National Touring Series out of Mobile. Praytor finished 8th in the Championship standings the first season out of Mobile, following it up with a 5th place finish in 2016 and a 7th place finish in 2017. Over his first six seasons of competition Praytor became the Ironman or �IronMoose� of the Series competing in 105 consecutive races while logging over 13,000 miles of competition. Praytor ended his streak of consecutive starts earlier this year at Talladega and has been mentoring young and upcoming talent. The Moose will continue racing on a part time basis in 2019. The St Paul�s Hall of Fame Awards Ceremony is Thursday night at the Country club of Mobile and halftime recognition during the Saints Homecoming game Friday night at halftime. 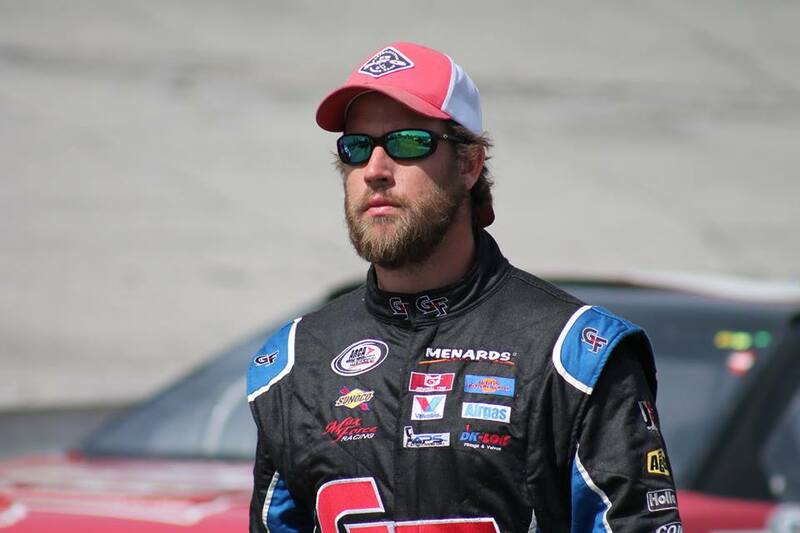 As they say all good things come to an end and for Thomas �Moose� Praytor a three race deal that�s turned the Mobile, Alabama driver into the ARCA Series Ironman is over at 105 races. The streak of 105 consecutive races encompasses six seasons of ARCA competition and over 13,000 laps. You have to go back to October of 2012 to not find Praytor in the ARCA lineup. 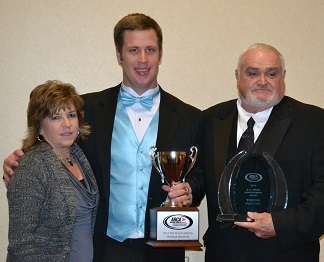 The streak started with Praytor driving for long time ARCA Owners Wayne and Pam Hixson out of Soddy Daisy Tennessee. 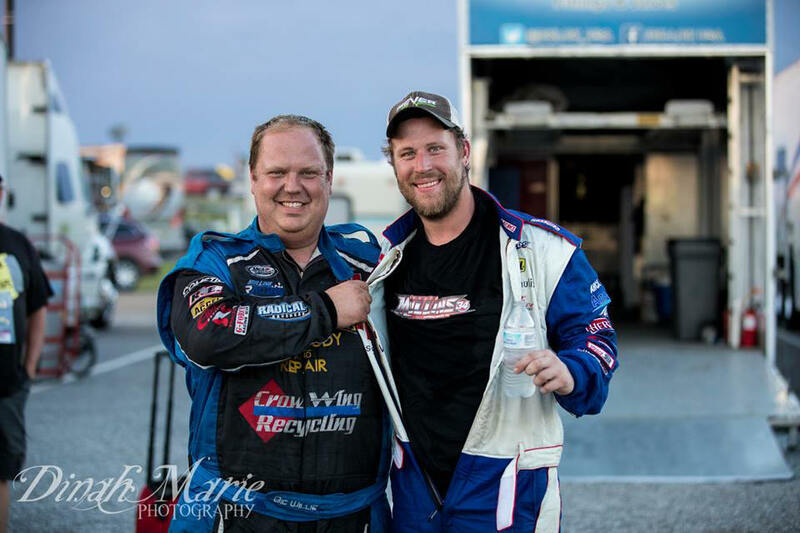 After a couple of years under Hixson�s tutelage Praytor moved back to Mobile driving for his family run Max Force Racing. 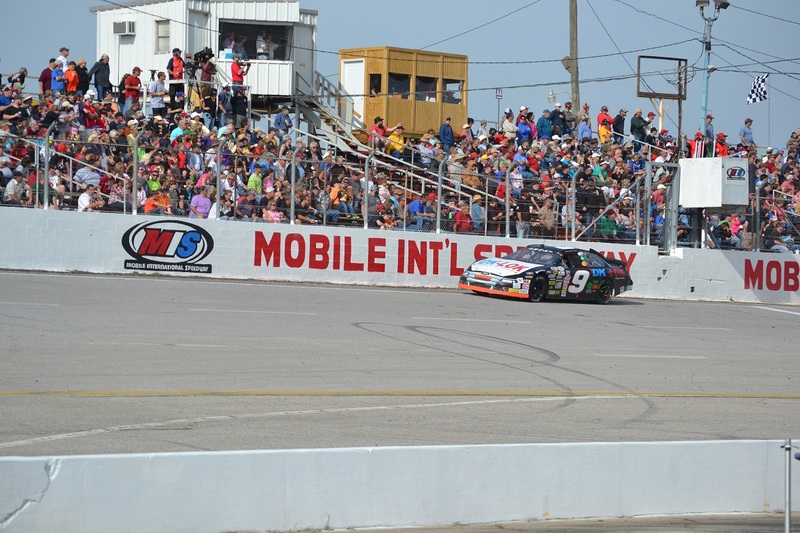 The Mobile native responded with is best ARCA finish at the ARCA Mobile 200. The streak has taken the Moose on over 300,000 miles of towing and some wild trips. The hauler became a familiar issue for Praytor with tires popping like balloons and the I-Beams splitting apart in Louisville. Is this the end of the line for the Moose? What about behind the wheel? 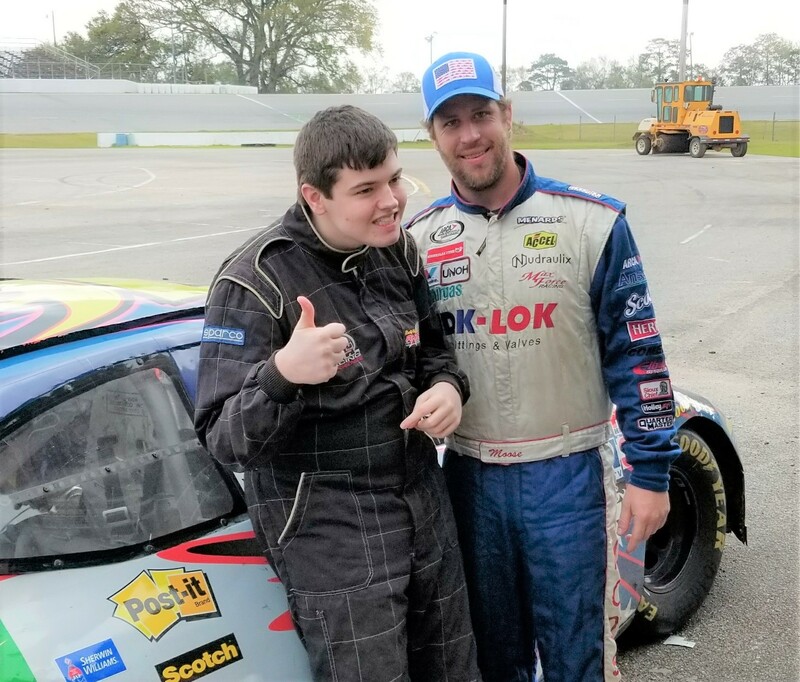 With a weekend off from the ARCA schedule, Thomas �Moose� Praytor was able to surprise one of his biggest fans, Reese McGahagin, with the duo turning a few laps with the Rusty Wallace Racing Experience. After Talladega, Praytor kept going in circles while McGahagin was running his own races, taking home medals in Special Olympics competition. The pair kept up with each other�s exploits and with the Rusty Wallace Racing Experience coming to Mobile, the wheels started turning. Reese�s Dad got Reese approved to take part in the ride-a-long and the Moose jumped in to give Reese a surprise driver, while Fox 10 agreed to get it all on tape. With everything in place, the group assembled to take Reese for a ride. They say a picture is worth a thousand words, Reese�s smile says it all. Praytor and his Max Force Team return to action April 7th at the Fairgrounds Speedway in Nashville for the Music City 200, live on MAVTV. Did You Hear the One About the Hindu and the Rednecks? The title sounds like the beginning of a bad joke but in fact it is the story of how Pawan Vittal made it 8,565 miles from Mysore, Karnataka, India to UNOH to working for an ARCA team based out of Mobile, Alabama. 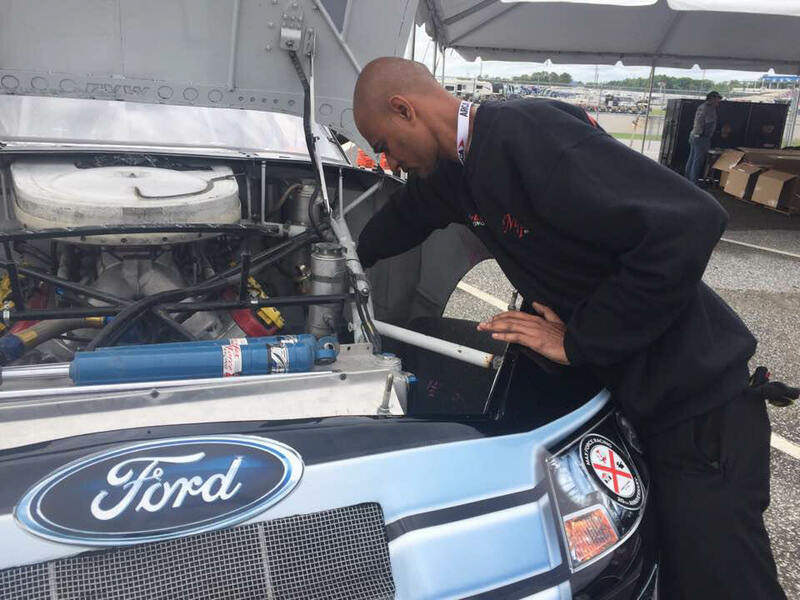 Vittal is part of the UNOH High Performance Team that sends interns to race teams from Dirt to NASCAR. In 2017 he was assigned to Max Force Racing with 6 other UNOH students to work for Thomas and Tommy Praytor. In India, the Vittal family is very successful in many fields of endeavor but Pawan has the racing bug that includes being a navigator for a road rally team back home. From India to the biggest racing stage in the world Vittal was dropped off in the deep end with the Praytor�s at Daytona. Prior to Daytona �Pete� had never been anywhere in the United States other than Lima, Ohio. 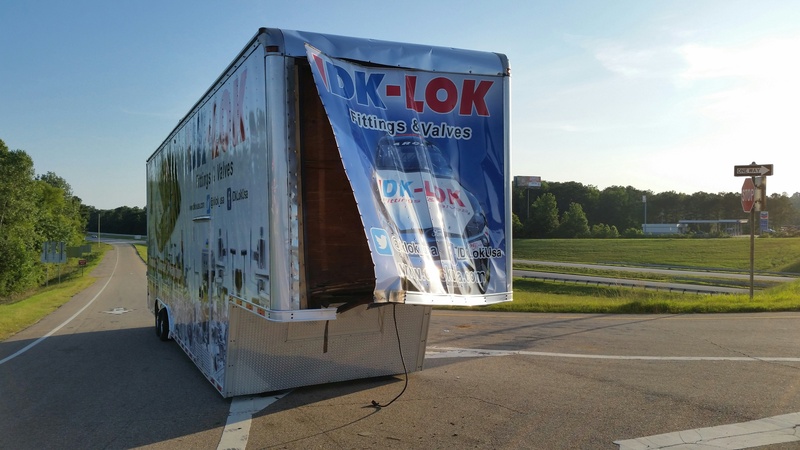 Since Daytona Vittal has made stops in Talladega, Nashville, Salem and Toledo and will soon be in Elko Minnesota. By the end of the season he will have seen more of America than most Americans. �It has been fun seeing the US, there are so many unique places,� offered Vittal. Needless to say pairing a devout Hindu with a team from Alabama, created some cultural differences. �First thing we found out was Pawan was a vegetarian. The only vegetarians in Alabama are rabbits. For a team that survives on Hamburgers and Monroe Sausage my Mom had to adjust her cooking plan quickly,� said Thomas Praytor. While not exactly d�tente having Vittal on the team has been a learning experience for everyone. 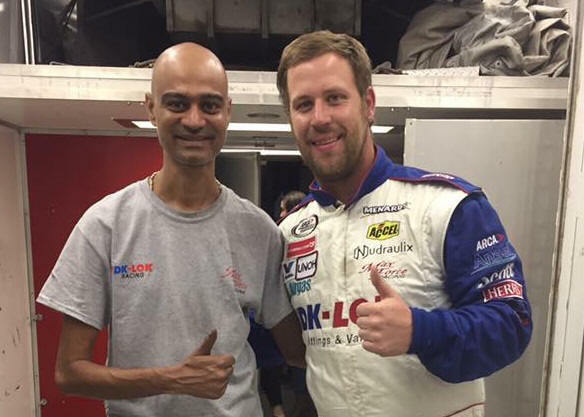 In the midst of the cultural divide and a language barrier that is rapidly disappearing (neither side is certain whether Pawan�s English is better or they can just understand him) Pawan and his UNOH teammates have gelled into a cohesive unit that�s pushed Thomas Praytor back into the top 10 of the ARCA Series standings. Elko Speedway is the smallest track on the tour and the team will have its most challenging pit stop during the Shore Lunch 250 on June 3rd. Racing with Rednecks and a Hindu. FREDRICSBURG, Va. � When Thomas Praytor and Willie Mullins teamed up as drafting partners during the General Tire 200 at Talladega (Ala) Superspeedway on May 6, it was actually just the latest collaboration between the pair of low-budget racers. Praytor and Mullins have been helping each other since 2015 when Mullins Racing fielded a car for J.J. Pack in the season opening event at Daytona Int�l Speedway. Praytor let Mullins enter the car with Praytor�s 2014 ARCA Racing Series owner points, which allowed Pack to make the race via provisional. Praytor, a veteran racer who has 89 ARCA starts under his belt, said the friendship with Mullins grew quickly following that weekend at Daytona in 2015. Since then Praytor and Mullins have helped each other out many times. In fact, Praytor once let Mullins borrow a sway bar from him for more than nine months. Mullins eventually returned it, but not without a bit of harmless ribbing from Praytor. 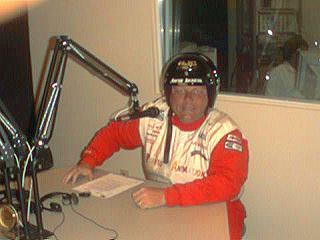 As a show of support, and admittedly a bit of a joke, Praytor even wore one of Mullins� T-shirts under his driving suit during the General Tire 200. Mullins admitted when he saw Praytor before the race wearing his shirt, he couldn�t help but smile. �The story behind that is it started off with my girlfriend giving his girlfriend a T-shirt just because of some friendly kidding back and forth,� Mullins explained. �Well when we were getting ready to get in the cars he came up to me and said, �Oh, by the way�� and it was just too funny. Praytor said that picture, taken by Mullins� fiancee Dinah Thompson, is much more than just two racers having a good laugh. It�s a pair of friends and competitors who have each other�s back. �When I showed him that I was wearing it and saw the look on his face, I said I guess this does mean a little something,� Praytor said. �All I�m sure anybody see�s is me wearing a shirt that says �Big Willie Style� on it and another racer standing next to me. Really nobody knows the meaning of that picture or what is going on, but it is kind of cool to have our own little meaning to the picture. �Of course it turned out it was the best we�d done at Talladega in quite awhile, so I�ll be sure to wear that thing next time out. I�ll have to dig it out of the dirty clothes and wear it at Toledo in a couple of weeks,� Praytor said with a laugh. Both Mullins and Praytor say that its important for the small teams, like Mullins Racing and Praytor�s Max Force Racing, to work together to combat the bigger teams like Venturini Motorsports and Cunningham Motorsports. �We don�t do this every weekend, so if we�re missing something on pit road and we don�t have time to go back, those guys are the ones that are there to help us,� Mullins said. �At Daytona we needed help on pit road and we went down to the Praytor�s and those guys were more than happy to help. They sent a person down to help us because we were having trouble getting the window net up. They saved our qualifying position at Daytona when that happened. Praytor echoed Mullins� thoughts, saying that people like Mullins are exactly what the phrase �racing family� represents. �These big, fully funded teams have got every kind of resource you could possibly think of to get whatever they need,� Praytor said. �I could think of several occasions where Willie has come down to me or I have gone down to Willie looking for a certain piece that I didn�t have but he had or vice versa. �It just shows how big the racing family is. Willie can walk down to me and take two or three drawers in my toolbox just because he needed it and I wouldn�t think twice about it. That�s just what we�ve got to do to make it. 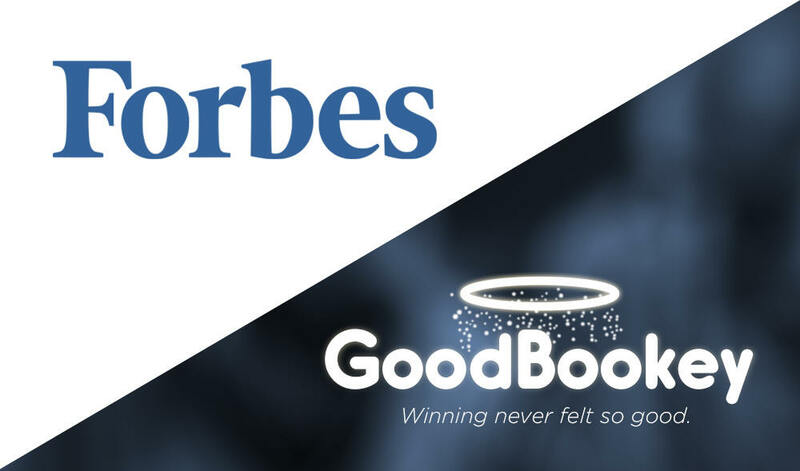 Watch GoodBookey President Tony Pease and Operations Officer Sarah Deasy give a short presentation on GoodBookey using their involvement with racing as part of their presentation. This site and our team are dedicated to winning and having fun. Each week during the season we will update this site with a report of racing action from the previous week. We will also be posting pictures of the team and scenes from the track. Originally this site was designed for Tommy Praytor and his Fat Boy Racing team. Over the last few years Tommy's son Thomas has been making a mark on the racing scene and Thomas's or Thomoose's racing has been added to our site. On June 4th, 2001 the Praytor family lost their third child, Max. 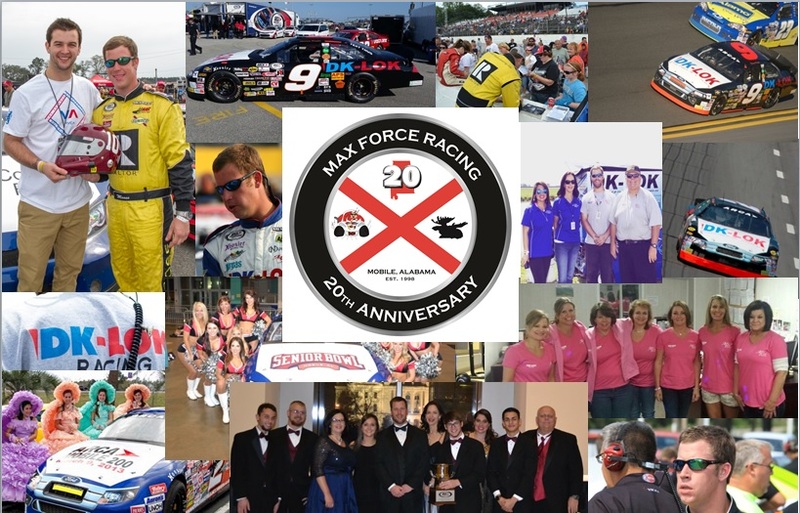 In 2002 we changed the name of our combined racing efforts to Max Force Racing in his memory. This page was last updated on 03/06/19.